What puts Berlin up there as one of the child (and parent!) friendliest cities in the world is its knack of adapting current hip trends and services to suit adults who just happen to have children. Berlin’s child-friendly infrastructure came as a very pleasant surprise to me. I certainly hadn’t seen anything like the diverse and creative range of playgrounds, Kindercafes or child friendly museums in the UK. There are the obvious child-friendly tourist attractions such as the really fabulous zoo and aquarium (www.aquarium-berlin.de) and Legoland, as well as the Natural Science Museum (Museum fur Naturkunde: www.museum.hu-berlin.de) with its fantastic array of dinosaur skeletons and the German Museum of Technology (Deutsches Technikmuseum Berlin: www.dtmb.de) where you can see a huge selection of classic steam trains, airplanes and boats. 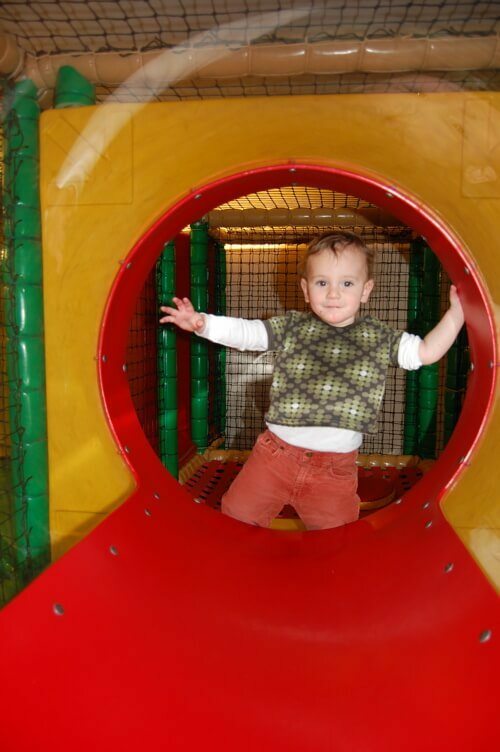 As a mother of 2 small and very energetic boys, I was filled with dread at the idea of keeping them out of trouble and myself sane during the long, seriously cold Berlin winter. 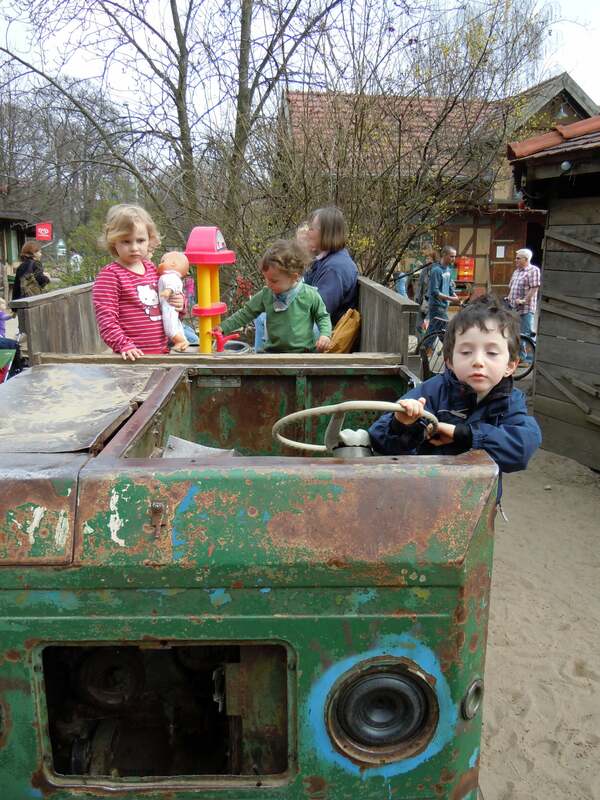 So I was really thrilled to learn about Berlin’s numerous and diverse Kindercafe’s. In my first months in Berlin, I went on a veritable Kindercafe tour as I joined a fantastic networking group for English speaking Moms and their babies-Mr Barnaby’s Baby Babble. The group organiser had us meeting in a different Kindercafe every week and so my boys and I are able to base our list of favourites on a good deal of research and experience! Here are some of our favourites. If you click through the links you’ll be able to get a lot more on each of them as well as where to find them. Now that its most definitely spring time, its time to add something here on the fantastic kinderbauernhofe that are dotted around Berlin. Perfect for a day out in the sunshine with the kids. My favourite so far is Kinderbauernhof Pinke-Panke. 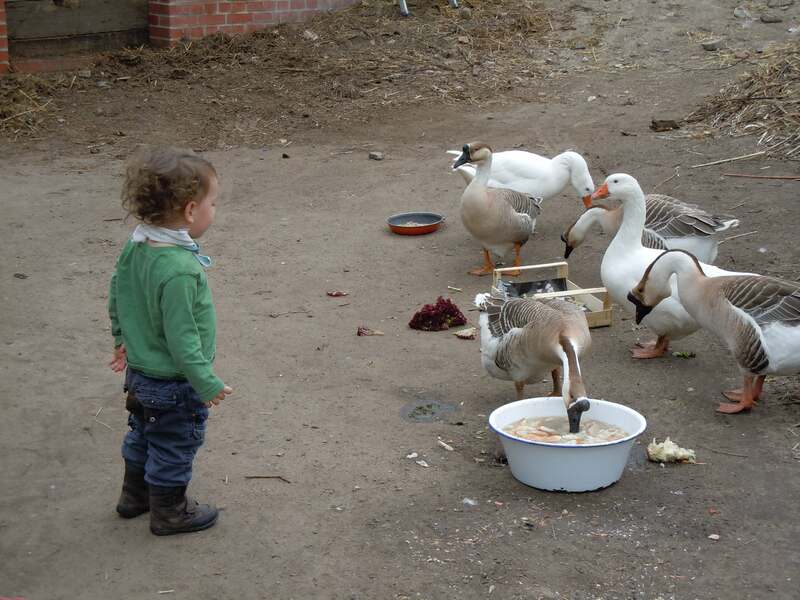 The geese pictured here, were a huge hit, as was a pot-bellied pig family and some friendly donkeys and some very large rabbits.